Physicians use many terms to describe to progress of a cancer or its response to treatment, one of which is progressive disease. Progressive disease means what the term implies, that a cancer is getting worse, but these terms are used to explain exactly how much worse a cancer appears to be. There are many reasons, in turn, why a cancer could be labeled as being progressive, and your prognosis may vary significantly depending on which of these underlying processes is at play. What do you need to know about the different terms used to describe the changes in a cancer or response to treatment, and why are these terms used? Let's take a look at some of this confusing terminology so you can understand exactly what your oncologist is saying. Progressive disease is a term that describes a disease that is progressing or worsening. With cancer, progressive disease is defined as at least a 20 percent growth in the size of the tumor or spread of the tumor since the beginning of treatment. In other words, if the size of a tumor is 20 percent larger on a scan it would be called progressive disease. You may also be told you have progressive disease if the size of your primary tumor has not changed significantly in size, but you have new metastases. Your tumor is growing: As noted, an increase of 20 percent in size is considered progressive disease. Keep in mind that measurements looking at the increase in a size of a tumor are approximations, and not so accurate. A tumor that is classified as being progressive disease has likely grown substantially or it would be called stable disease. Your tumor is getting worse: You may have progressive disease if taking a break from treatment has resulted in an increase in the size of your tumor or if the treatment you are receiving is failing to control the growth of the tumor. At the current time, the criteria for progression is likely changing. While once, having progressive disease meant one of the situations above, that's no longer necessarily true. An example is with the use of immunotherapy medications. 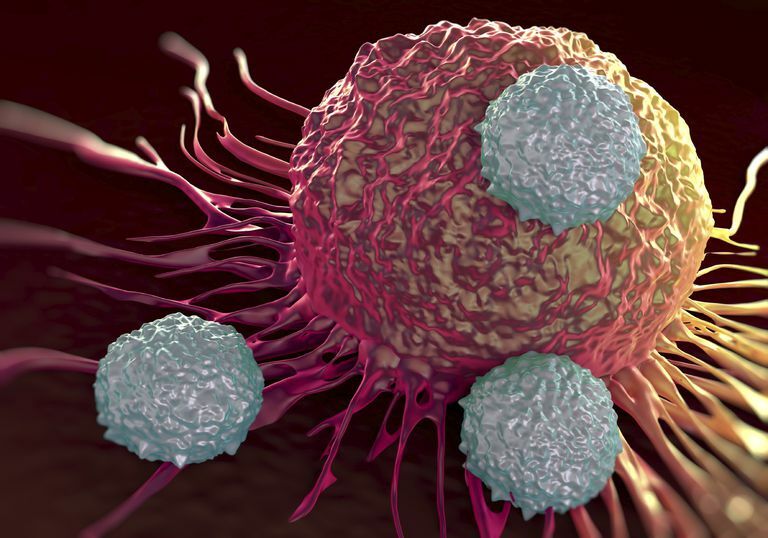 It's been noted that early on in treatment, many of the people who have very good responses to immunotherapy drugs initially appear to have progressive disease. What this means is that it's important to talk to your oncologist carefully if you've been told that you have progressive disease, and not give up hope. Your doctor may use the term progressive disease as an indicator of when to choose a new treatment. For example, it may be time to switch to a second-line treatment instead of continuing the first-line treatment. The term may also be used as part of a clinical trial to indicate an inadequate or poor response to an experimental treatment. Stable disease: Stable disease means that a cancer hasn't changed significantly in either direction. In other words it hasn't grown significantly or decreased significantly in size. Complete response: If you have a complete response it means that all detectable signs of a tumor are gone. This may also be called a complete remission or NED (no evidence of disease). In a complete response, there will be no indication of cancer present on a physical exam or on imaging studies such as a CT scan, MRI, or PET scan. It does not mean that a cancer is cured, as there may still be microscopic cells and regions of cells present that are not detectable with our current studies. Partial response: A partial response means that a tumor has decreased in size by 50 percent but there is still detectable disease present. This may also be referred to as a partial remission. Minor response: A minor response is a term that is being used more frequently in recent years. It refers to a tumor that has responded to a treatment and has decreased in size by 25 percent, but not by 50 percent. In other words, it falls somewhere between stable disease and a partial response. Objective response: The term objective response most often refers to either a partial response or a complete response to a treatment. If you've learned you have progressive disease you may be feeling depressed. It's always hoped that a tumor will respond to treatment. If you have progressive disease, however, it does not mean that there are no options left. Finding you have progressive disease may simply mean that it's time to switch to another line of treatment which will hopefully be more effective. With the use of targeted therapies becoming more common this will become clearer. Often one drug is used to control the cancer until the tumor becomes resistant to that drug. This does not mean that the cancer in then untreatable. It may only mean that it's time to change to another medication to control the growth. American Cancer Society. Managing Cancer as a Chronic Disease. Updated 02/12/16. Oxnard, G., Morris, J., Hodi, F. et al. When Progressive Disease Does Not Mean Treatment Failure: Reconsidering the Criteria for Progression. Journal of the National Cancer Institute. 2012. 140(26):1534-1541. What Terms Are Used to Describe Cancer Treatment Responses? Why Do Some Cancers Come Back? Does Cancer Itself Create Pain?